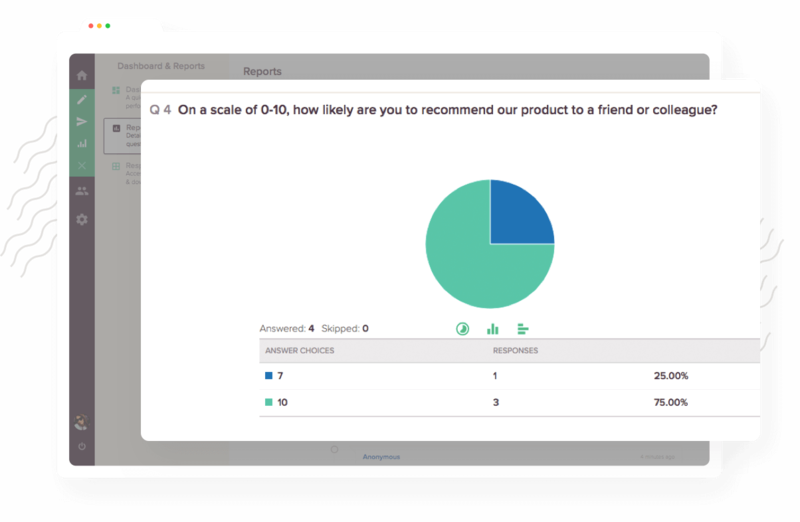 Website feedback surveys help you collect attributes and feedback from website visitors, understand their needs, and improve customer experience. 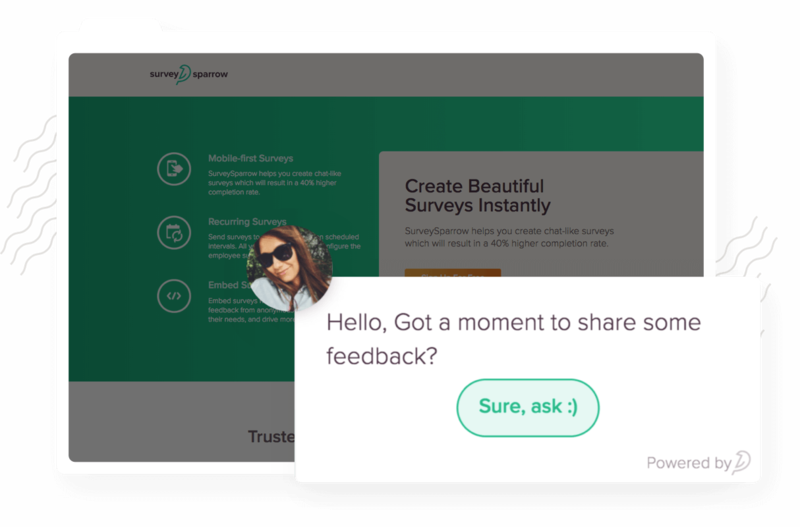 With SurveySparrow conversational surveys, make your website more user-friendly! Position website feedback surveys directly on selected webpages by simply embedding. 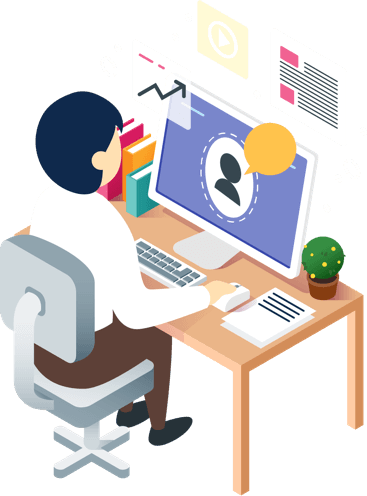 You can initiate Auto-Triggered Surveys, User Invoked Surveys or Inline Embed Surveys as per the requirements and collect the needful data from website visitors. Get valuable information from the website visitors with a much engaging chat-like website feedback surveys. You can obtain both qualitative and quantitative insights from them, understand who they are, what they are thinking about you, and what they are expecting from you. Acquire data-driven feedback from your website visitors using website feedback surveys and optimize the web experience. Improve the quality of your product or service based on the insights. 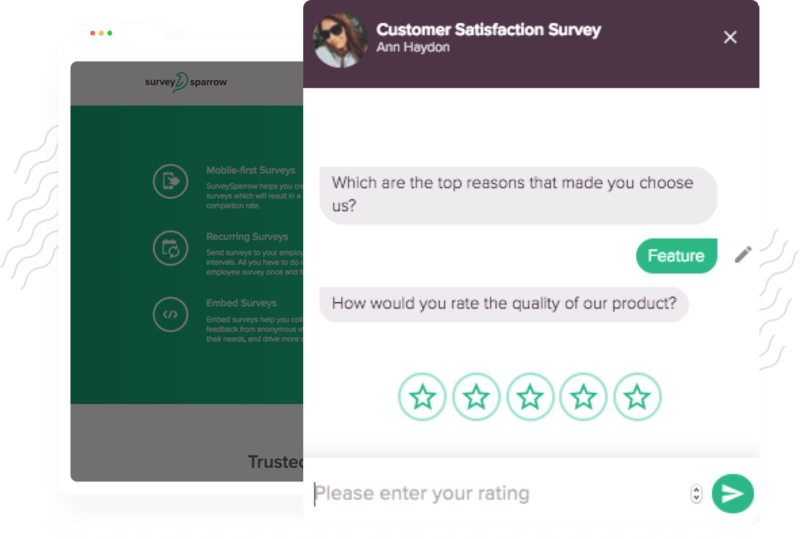 SurveySparrow has everything you need to excel the customer experience.